From New York Times bestselling author Alice Hoffman and master knitter Lisa Hoffman comes Faerie Knitting, a magical melding of words and yarn where the ordinary is turned into the extraordinary and where imagination becomes creation. The magic of storytelling and the magic of knitting—woven together in 14 original patterns inspired by each story. Featuring fourteen original fairy tales, Faerie Knitting is an entrancing collection of stories of love and loss, trust and perseverance. Seamlessly woven into the plot of each tale is a magical garment or accessory inspired by the bravery and self-reliance of the tale’s heroine and brought to life through an imaginative and bespoke knit pattern. From the Blue Heron Shawl and the Love Never Ending Cowl, to the Three Wishes Mittens and Amulet Necklace, each project is as wearable as it is magical. Lush, atmospheric photography captures the enchanted faerie domain while beautifully rendered charts and instructions are well suited for beginner and advanced knitters alike. Presented in an elegant linen case with foil accents that evoke the fairy tale tradition, Faerie Knitting is a rare gift for creators—and lovers—of magic. 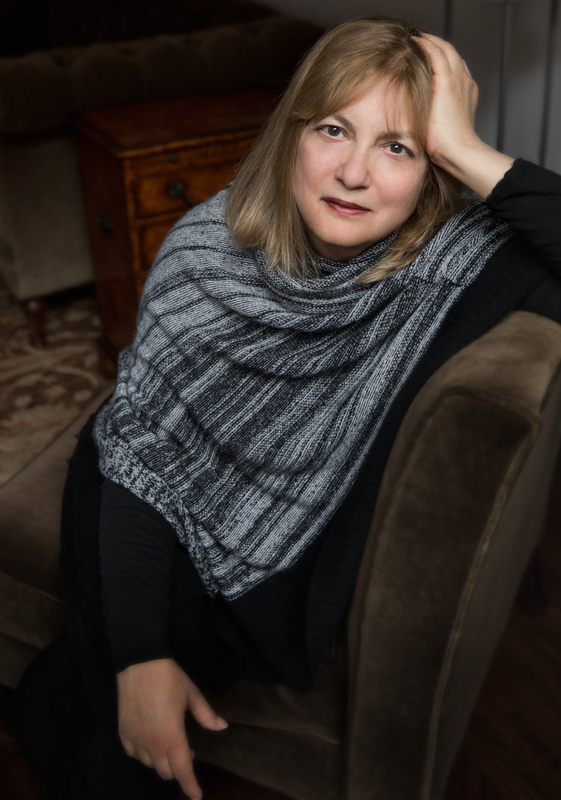 Alice Hoffman is the author of more than thirty works of fiction, including The World That We Knew, The Rules of Magic, The Marriage of Opposites, Practical Magic, The Red Garden, the Oprah’s Book Club selection Here on Earth, The Museum of Extraordinary Things, and The Dovekeepers. She lives near Boston. Lisa Hoffman, knitwear designer and knitting teacher, lives in New York City with her husband, Andrew. She has three grown children living near and far. Lisa Hoffman's designs have been published in Vogue Knitting, Interweave Knits, and Knitwear Magazines. She has designed projects for Artyarns, Be Sweet, Blue Sky Alpaca, June Cashmere, Long Island Livestock, Tahki Stacy Charles, Vijay Fibers, and others. She has projects published in books including Alice Hoffman's Survival Lessons, Vogue Knitting: Mittens and Gloves, Iris Schreier’s One + One series, and 60 Quick Baby Blankets, among others. She has original patterns for sale on her Ravelry.com site Lisa Hoffman Knitting. She currently works and teaches knitting classes in New York City. 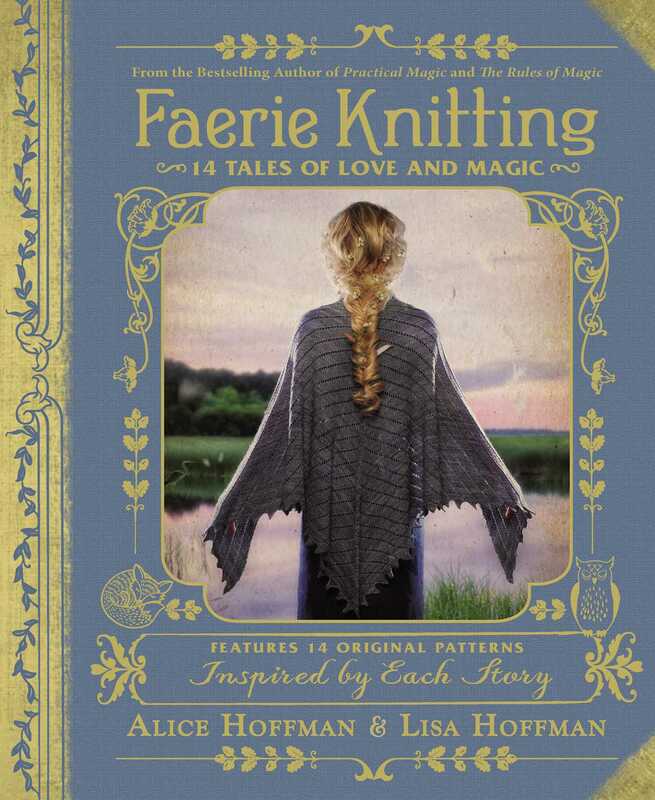 "In this unusual volume, bestselling novelist Alice Hoffman and knitwear designer Lisa Hoffman take knitting into the worlds of fairy tale, magic, and fantasy. I … was intrigued by the imaginative ferment of these creative cousins. (Also: the knitting designs are beautiful.)" "Like something … from under the Christmas Tree." "The stories tell of the power of women and power of knitting, the magic of making and storytelling in ways that many knitters — and writers who knit, and knitters who write — will find familiar. It’s an interesting concept and the stories and knitting patterns are enjoyable alone and in combination." "The book is beautifully photographed … with easy to navigate charts, guides, and diagrams to make things extra helpful. One thing I love about this book is the sheer variety of projects … Each story in the book blends nicely with the accompanying project and reads just like a classic storybook … feels like a special vintage book. One of my favorite projects from the book is … the Blue Heron Shawl, which also graces the cover. I'm such a shawl fanatic and this one is absolutely exquisite." "When Alice Hoffman – the Alice Hoffman … releases a new book with her cousin, master knitter Lisa Hoffman, you sit up and pay attention … With patterns like the ‘Amulet Necklace’ and ‘Witch Gloves,’ it’s just in time for Halloween. Perhaps weaving patterns from the Hoffman cousins’ book may be just the thing to unspool a bout of writer’s block this winter." "This book is a delightful collaboration …with strong girls and women at their center. The patterns and stories mesh wonderfully each enriching the other to create a timeless collection. The photography lifts the book to an otherworldly realm, full of mist and magic. This is an imaginative book that can be used to knit or read some enchantment into your life." "Faerie Knitting is a beautiful book, lavish. Alice Hoffman … knows her way around spells and enchantments. Faerie Knitting inhabits the timeless, nameless country we expect from traditional tales ... .Her heroines solve problems, fight enemies, and find love ... and better still, the stories tap into perennial fears and hopes that also feel extremely timely … these women are concerned with far more than the arrival of a prince. The textile arts … are natural and necessary aspects of magical tales. All the stories are set in, or include, the natural landscape. The colors and yarns she selects evoke wood and garden … motifs cleverly echo the storytelling. The effect is beautifully disorienting ... quite dramatic. It’s a fine book, Faerie Knitting. This is one that will sit near my knitting and reading chair for quite some time."